Time is automatically set by SNTP. Display Day by number /Month/Year and day of week for calendar. 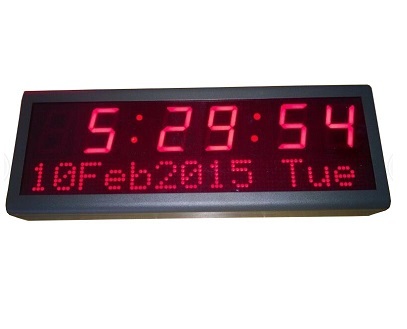 The GlobalTime Time/Calendar clock ALSO supports text and scrolling text below the six digit time. Text (where over 16 characters) scrolls from right to left.